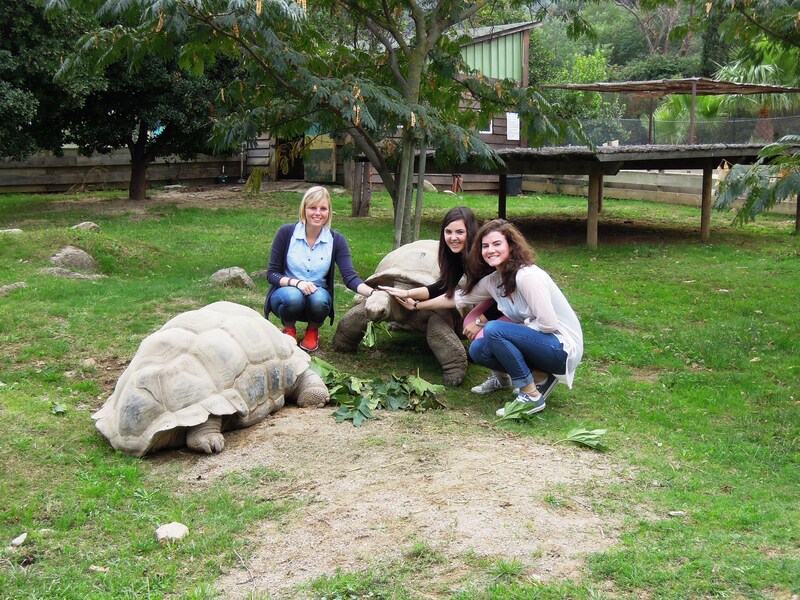 Julia, me and Kam with our new tortoise friends! 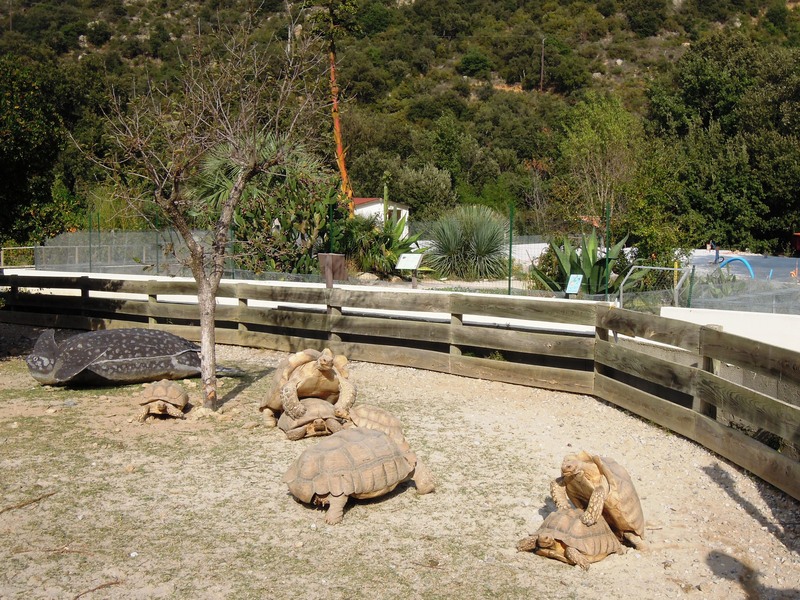 Two weeks ago in October (18/10/14), we had the chance to go to a tortoise sanctuary, La Vallée des tortues, located in the small town of Sorède, not far from Perpignan. It was a fantastic afternoon, and I really recommend it if you are around in the region. Entry is quite steep – 9€ for a student ticket, yet I do feel it was worth it, as I can safely say that the residents are well looked after and are happy in the sanctuary. We even received a tour (in French) which lasted about 45 minutes. 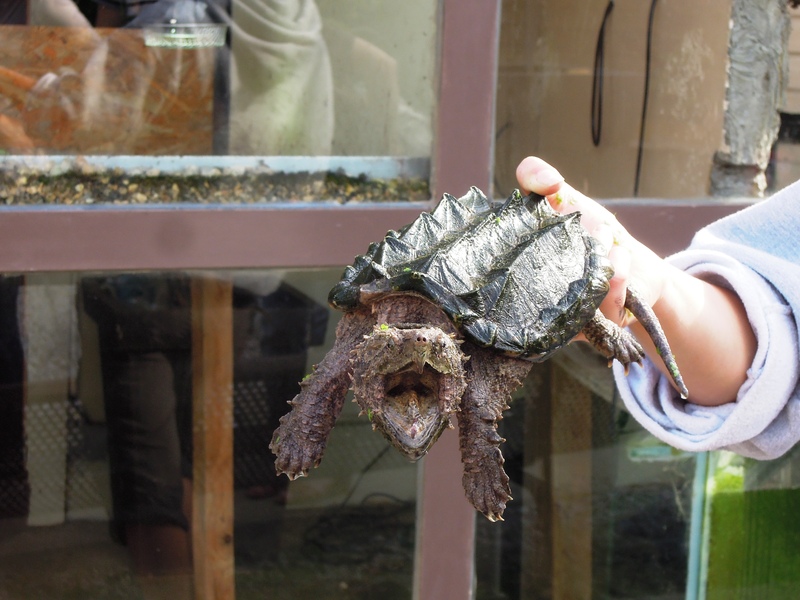 The lady who gave the tour gave us interesting information about all the different types of tortoises that were in the sanctuary and even some of their own personal stories – some happy and others more tragic. 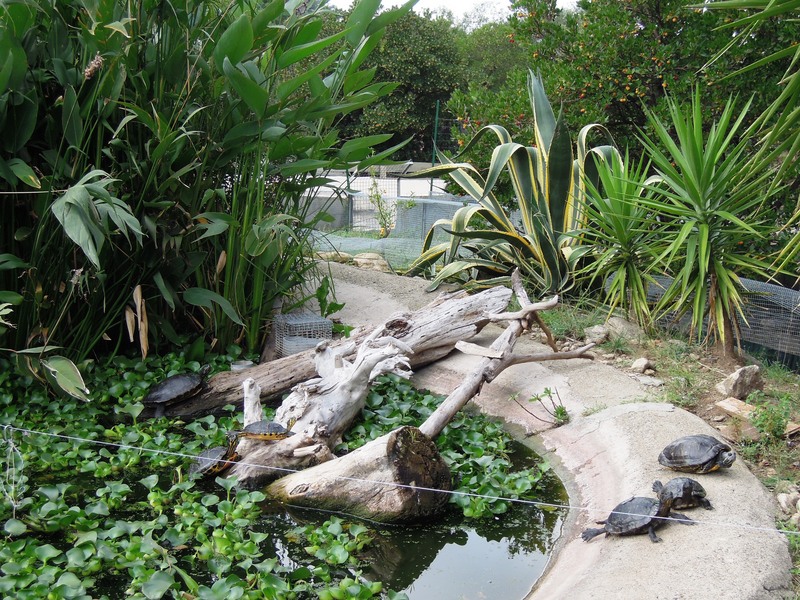 As we visited in the mid-afternoon, we were also able to see the tortoises being fed. It was late-October, and the tour group was only small – however most days during the high summer season, there can be over 1000 people a day visiting the site; we were very lucky the have a more intimate experience. There were a few children in the group, and the lady allowed them to help her feed a few of the friendly tortoises and stroke them. It’s a fascinating little place to visit if you are interested in these gorgeous creatures 🙂 I love them, probably even more now I have been here, and it was a lovely relaxing day-trip out of Perpignan!